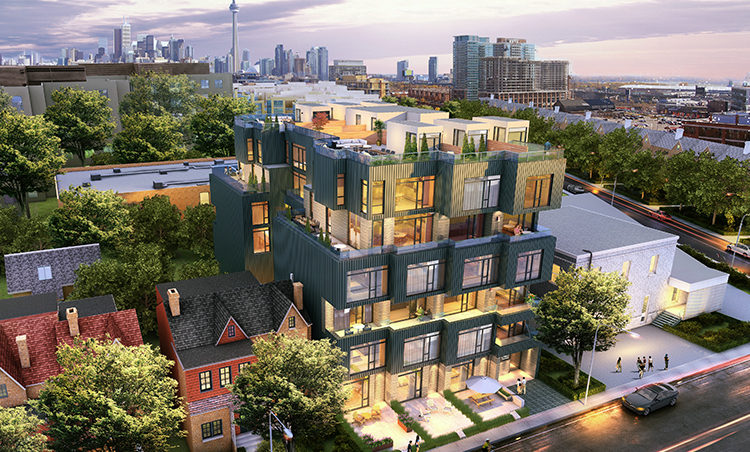 This six-storey hybrid mid-rise building in Toronto’s west end is on a tight infill site. 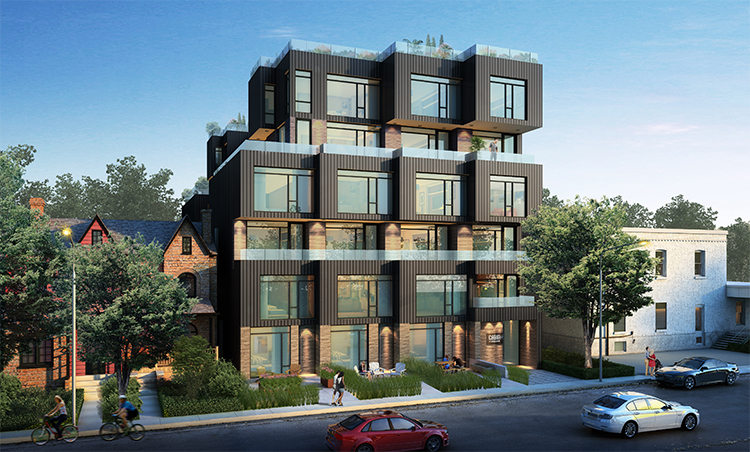 With 25 two-storey units, this building incorporates parking stackers at the rear of the site. 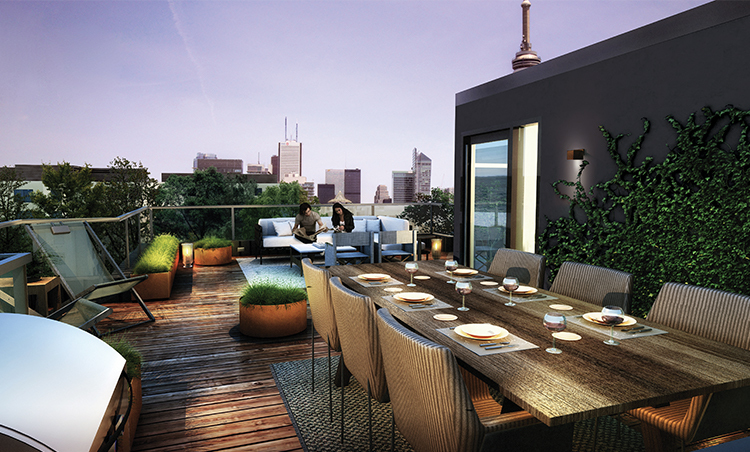 The articulated façade creates balconies or terraces in almost all units. The structural system uses prefabricated light gauge steel walls and a composite concrete-light-gauge steel floor system with concrete stair and elevator cores. Construction begins in 2017.